There was a time when my husband and I used to go out like adults do and enjoy the typical New Year’s Eve celebration, you know, prior to having children. Now, we stay inside and make some noise with out little ones. To be honest, neither of us can say we miss the old way of ringing in the new year. 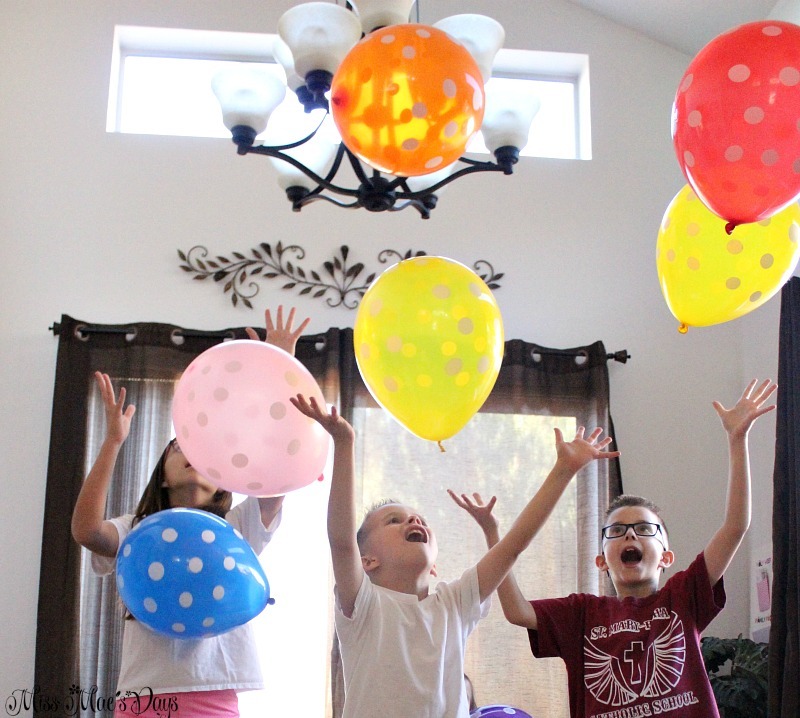 This way brings us so much joy and it also gives me an excuse to do crazy things that moms do for their kids like…create a DIY Dollar Store Balloon Drop! My kids were beyond thrilled when I explained to them that we are going to build our very own balloon drop for the big new year’s eve countdown. They instantly got all giddy with excitement. It seems that the idea of having dozens of balloons and a pound of confetti falling down upon your head is just so much fun! 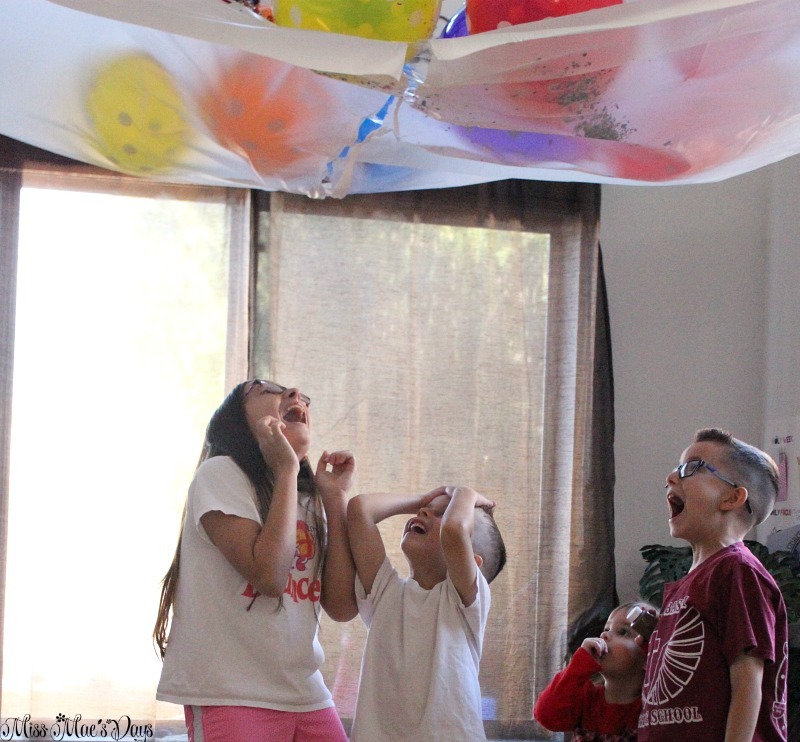 Without further adeiu, let’s build a DIY Dollar Store Balloon Drop that your children will never forget! 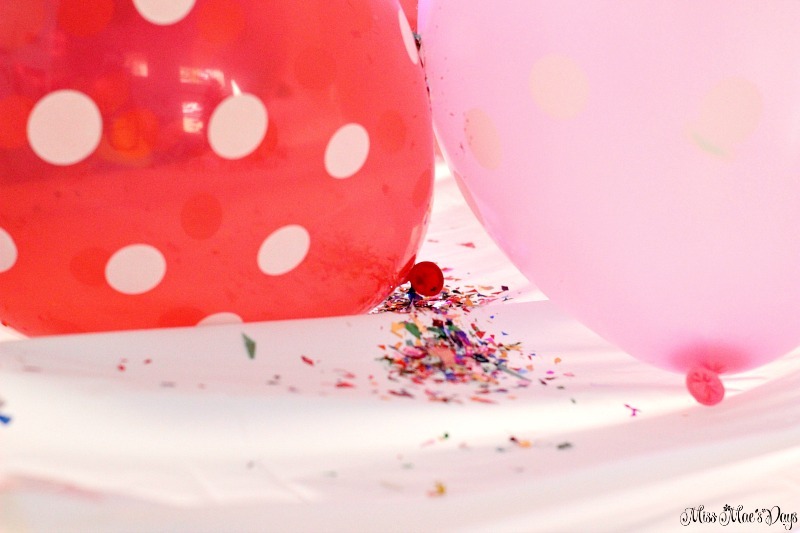 Once you’ve blown up your balloons, set them aside while you continue on to the next step. Open up the plastic table cloth and lay it flat on the ground. 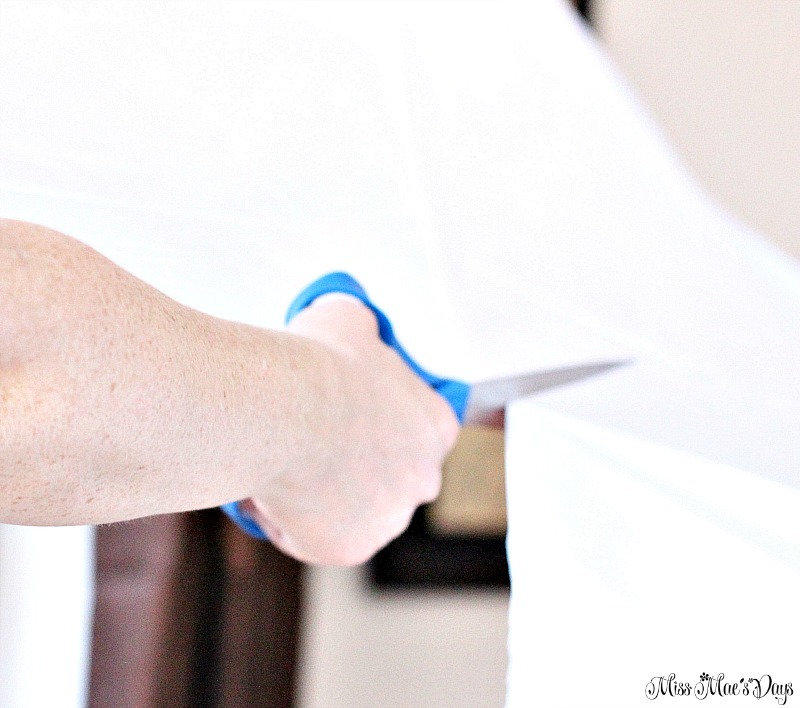 Use scissors to cut the table cloth in half. After you have 2 halves of the plastic table cloth, now it’s time to create a weakened seam down the center. Place the two pieces of table cloth, side by side on the ground. You will then take a long piece of crepe paper (streamers) and very gently tape the 2 halves together by laying the crepe paper down the center of the streamer halves. Then add some tape to gently secure the two halves together. Tip: remember to leave about a 12 inch streamer tail for your ripcord. Grab a big kid or an adult for assistance with pulling the ripcord on the balloon drop. The long piece of streamer tail that you left hanging down is the key to the execution of this project. Enjoy! Get your camera ready to take pictures because your children are going to LOVE this! I have to admit…the pictures of the anticipation on their faces are my favorite! Gone are the days of resorting to banging on pots and pans to ring in the new year! 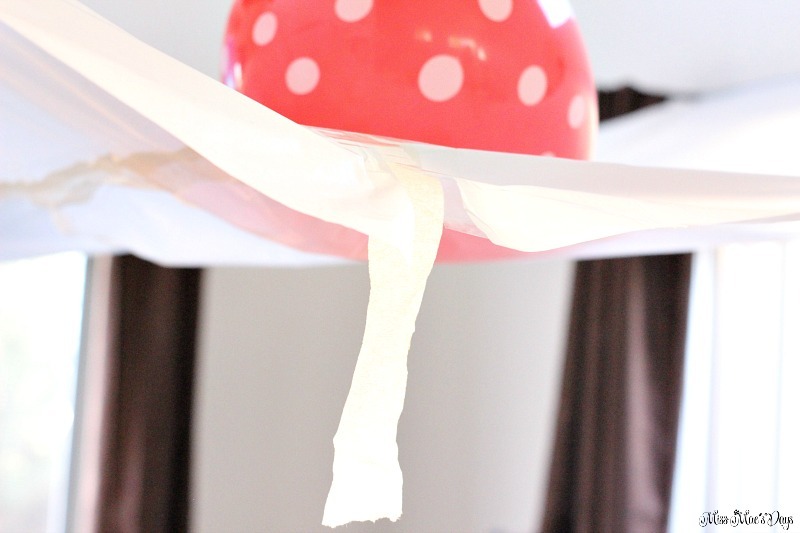 With just a few frugal supplies you can really make this New Year’s Eve a memorable one with this DIY Dollar Store Balloon Drop! 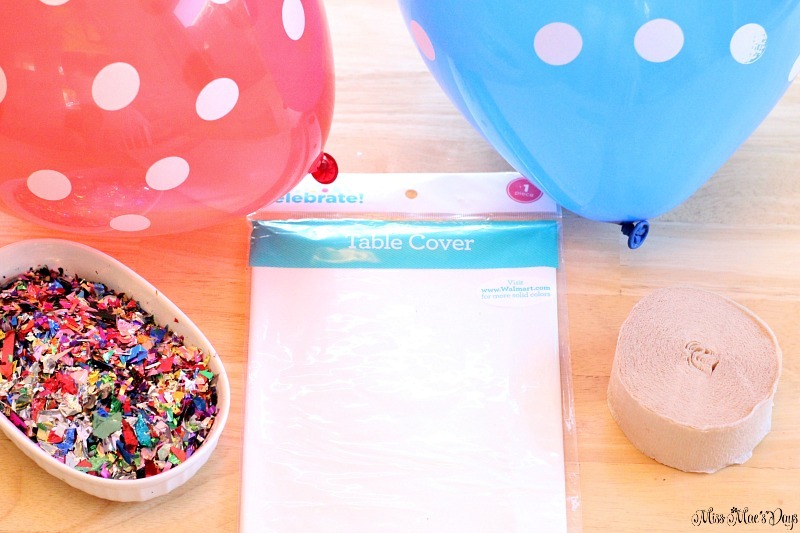 If you are looking for more ways to celebrate New Year’s Eve with the little ones in your life, check out our DIY Noise Maker Shaker craft and my tips for How to Plan a Successful and Fun New Year’s Eve Party with Children. Have a wonderful, balloon-filled, Happy New Year! Here’s a New Year’s Eve party BONUS! Grab this FREE printable for an extra activity to give your kid-sized party guests an opportunity to review the year in a fun, creative way! Find my “Year in Review” for Kids FREE Printable HERE. I have done this. But instead of a tablecloth….i used a fish net and a piece of curling ribbon woven down the cut edge (center of net). Worked great for a wedding! Thank you for sharing this! I loved being able to do it using stuff from the dollar store! Hi Alexis! I’m glad you found my tips and tutorials helpful. Thanks for visiting! Hi, Thanks for sharing the idea, it looks simple and not very time consuming. 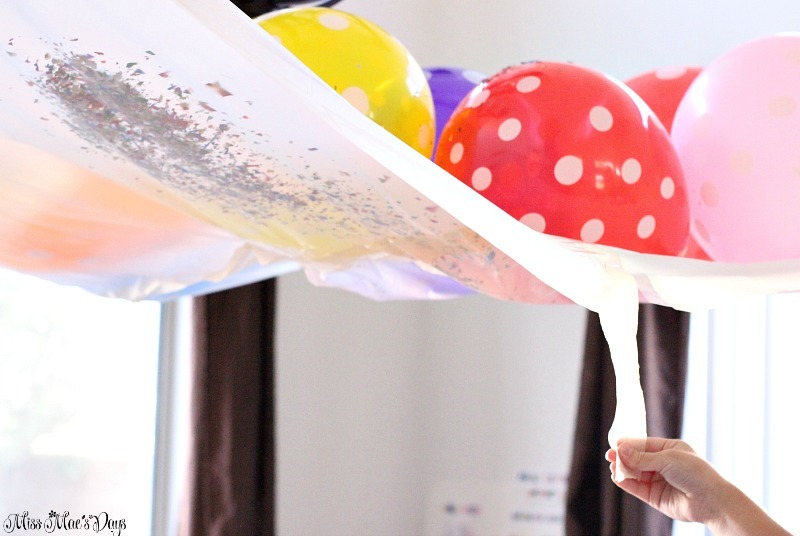 Kids like balloons anyways and you shared yet another way of doing something different with them.